Since the 17th century, and culminating in the first decades of the 19th century, the Holy Week rites of Cagliari have enabled the devotee to relive the Passion and Death of Jesus Christ. 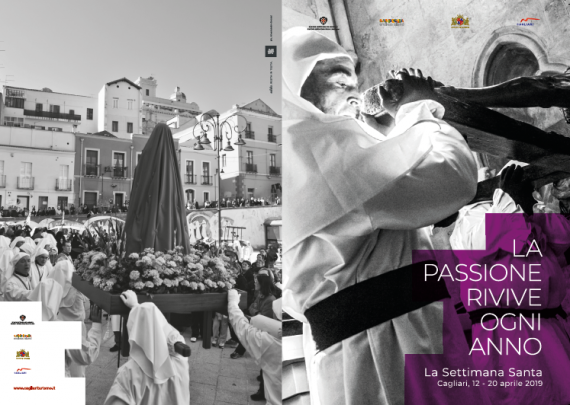 As many others sardinian areas, Cagliari celebrates Easter (known as Sa Pasca Manna, in contrast to Sa Paschixedda, Christmas) combining the official liturgical ceremonies with others, held by the citizens over the centuries. Through those rites, the town keeps alive a centuries-old tradition of its four historical districts: Castello, Marina, Stampace and Villanova, togheter with their parish churches. 2019 Holy Week programme is available in the attached file.